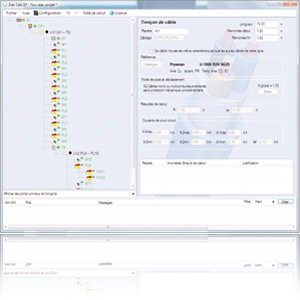 elec calc™ EP is a complete and easy to use professional tool, which meets the needs of engineering offices, local administrations’ technical departments, local organizations for electrical network supervision and maintenance and installation control organizations. All the elements constituting a lighting line are represented in such a flexible and dynamic way with their characteristics and their references so as to obtain the calculation results to the nearest reality. The lighting line is composed of light points with all their elements (posts, cables, cable lengths inside the post and their laying method, circuit breakers, derivation boxes, potential plugs on a light point, delivery point, etc.). The changes made are taken into consideration in real time in the calculation of the installation and all non-compliant elements are visually highlighted with a precise alert message in order to bring the necessary technical adjustments. Design, optimization and control of an outdoor lighting installation according to the standard NF C17-200 standard and the UTE C17-205 guide. elec calc™ EP was developed with the technical collaboration of Inéo Réseaux Ouest, a French GDF-Suez Group company involved in the development and distribution of electricity. elec calc™ EP leans on the recognized expertise of Trace Software regarding electrical calculation, based on the development of elec calc™ (previously named TR-CIEL, launched in 1998), authorized software by the UTE according to the French standard C15-100. 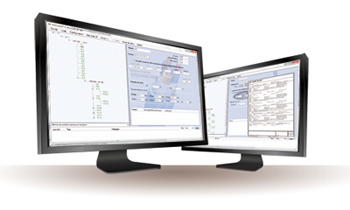 « Calculation software products have become essential for the networks’ conception. We permanently search to optimize costs and energetics benefits of our customers. For a software publisher, lean on the expert assessment of a specialist is fundamental. By working beforehand with our customers to anticipate the future needs, we have the guaranty to produce innovative products expected by the market. We appreciated the approach of INEO Réseaux Ouest whom the objective is to reinforce their expertise in the street lighting field, and their collaboration to the elec calc™ EP production give it an undeniable competitive advantage ». Etienne Mullie, R&D manager of the Trace Software International group.